I love this idea! I have been looking around at Maker Spaces online, because I love the idea, but it seems like there are a lot of men that go to these spaces and not many women. That makes me a bit nervous, honestly, and I am a grown woman. Young girls must feel even more nervous at the whole idea. DIY Girls is a great idea! 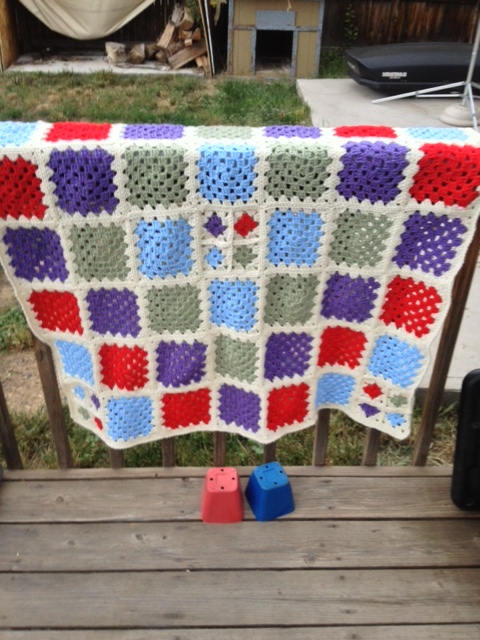 For a long time, I resisted crocheting dish cloths. All that effort, just for something to clean dishes with? Something that could be ruined by grease and staining foods? It seemed wrong somehow. Lately, though, I have been thinking so much about making things rather than buying them that I am much more into the idea. Plus, if we have to wash dishes anyway, why not do it with something pretty? 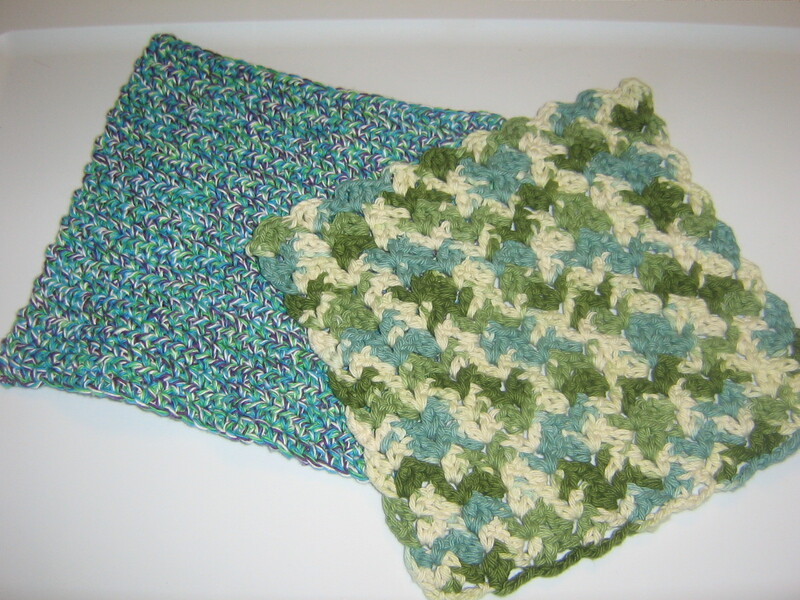 It is also much more comfortable on a hot summer day to make a small dish cloth than to work on a large blanket. I got the patterns from (where else?) Pinterest: Cloth 1 and Cloth 2 They are so quick, I will probably be adding more, especially since I bought a bunch of cotton thread when the Ben Franklin in my town went out of business. I am thinking these might make nice spa cloths for my Christmas pampering baskets, too. What are your thoughts on making this sort of practical item–the kind that gets dirty? Is it a great way to be less of a consumer and more self-sufficient? Or, do you prefer to make pretty things that won’t see such hard use? I know Christmas is far away, but I really want to make as many gifts as I can this year, and that means starting early. I am planning on making a few blankets, and those take time, and I am going to finish a few things that I started last year that I didn’t get done in time, but I also need to throw in some easier gifts. Trying to do 15 big crochet projects in about 3 months is crazy– I know, because that is what I tried to do last year! With this in mind, I am thinking about making gift baskets/kits. I like the idea of giving several small things I have made grouped together–it makes it easier for me to space out the projects, and it seems like an abundance of gifts, 🙂 . I am in the early planning stages, but here are some ideas I have so far. I have several similar projects grouped together. I probably won’t do all of them, but I like to have a range of choices when I start to work. I really love the soap socks in particular–what a neat idea! The sock felts as you use it! This idea is very crochet-intensive, which sounds more time-consuming. I really like the idea though, and the small projects may be doable. The notepads would be a lot of fun for standalone gifts, too. I am hoping my daughter will work with me on the jewelry–I like doing things like this with her. So, those are my beginning ideas. Even with the relatively quick projects, you can see why I need to start doing something about this now! I haven’t even mentioned that I would like to make up a bunch of Christmas ornaments so that I can attach one to the packaging for every gift I give…I guess I should get a start on those, too. Am I the only one crazy enough to be planning out Christmas gifts in July? 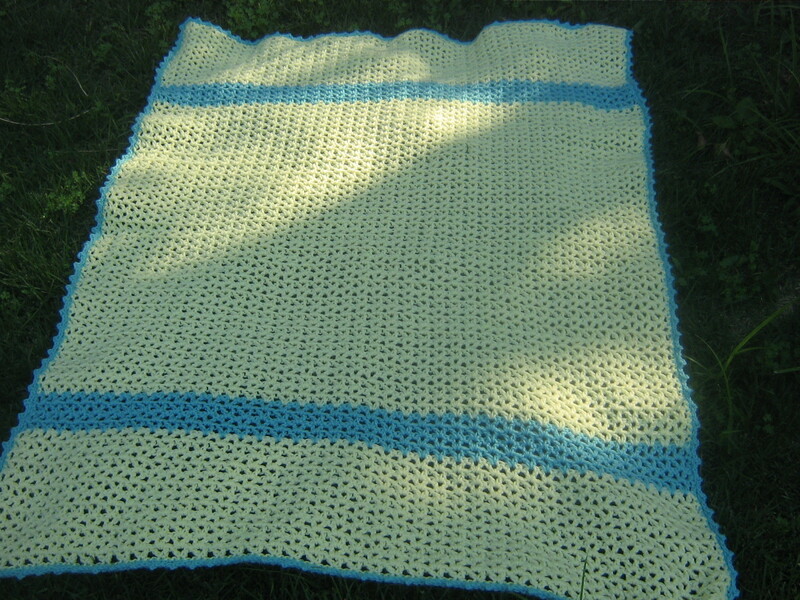 Since the beginning of this summer, I have finished three crochet blankets. I know, it is crazy to be making blankets in the summer, but I can’t help myself, I have all these blankets that I NEED to make–both because I have gift plans, and because I just feel the need to make them. I started this Go Graphic throw right after Black Friday last year, after I had gotten a great deal on some of the yarn. I was going to give it to my friend Barb for Christmas, but I didn’t get it all done in time. I made all the squares, but I didn’t get them sewed together, and I obviously didn’t do the border either. Right after Christmas, Barb and her family moved to Denver, so I ended up putting the blanket aside and working on other things. I started sewing together the first row, but I had other projects calling my name. In June, though, we went to Denver on our vacation! I brought the unfinished blanket along with me, planning to get it done while we there, leaving it as a combined Christmas/hostess gift. I eked it out on our last day there. When I first started sewing the squares together, I found it very tedious, but when I got into the swing of it, it wasn’t that bad. Plus, I love the way it turned out! Barb seemed to like it, too, which is what is really important, ;). Ravelled with a few more details here. 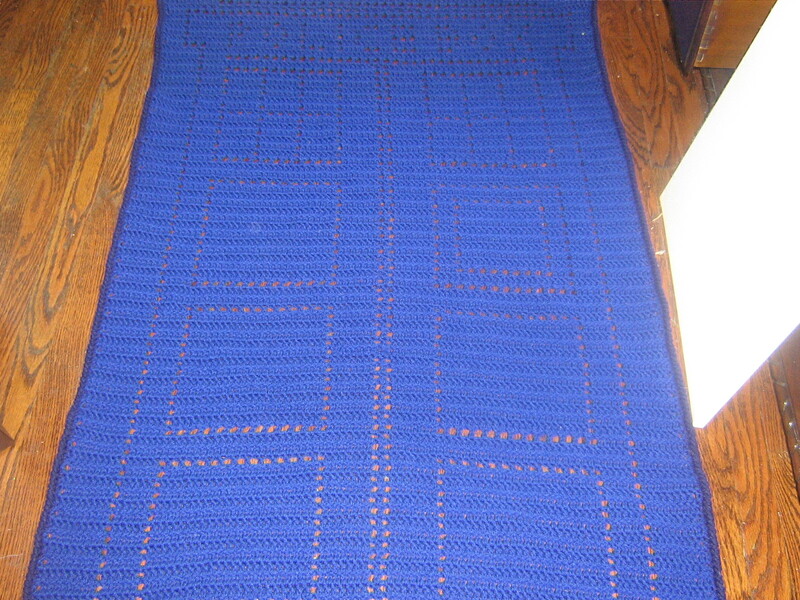 The second blanket I finished was for my son, and it was a huge hit–I made him a Tardis! I have made my daughter so many little things–scarves, hats, a scoodie–but it is harder to make things for the boy. When I came across this pattern, I knew it was perfect for my son! Of course, it is perfect for my daughter too, so I’ll need to make another one at some point. Ravelled here. I would have finished the Tardis a bit sooner, but I started another blanket on the car ride home from Denver. I wanted to make something quick and pretty for a gift I have in mind, and I got some new yarn, so I couldn’t resist starting right away. 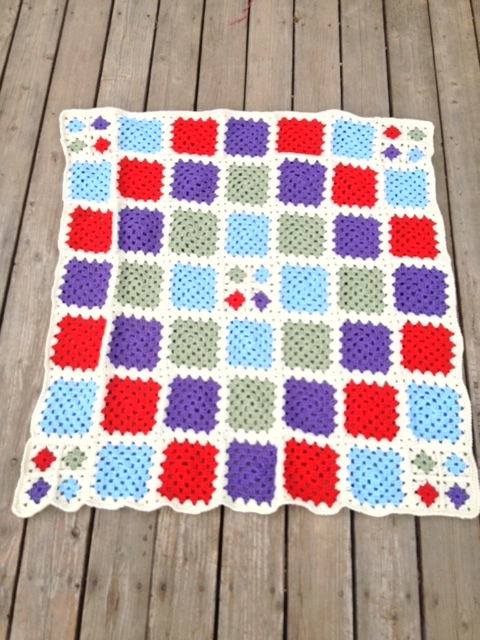 I’ve done this pattern before, so I knew it would meet my criteria–I finished my last one in about a week. This one took me a bit longer, but not much at 2 1/2 weeks. I really need a better camera, or more photo-taking skills (or both! 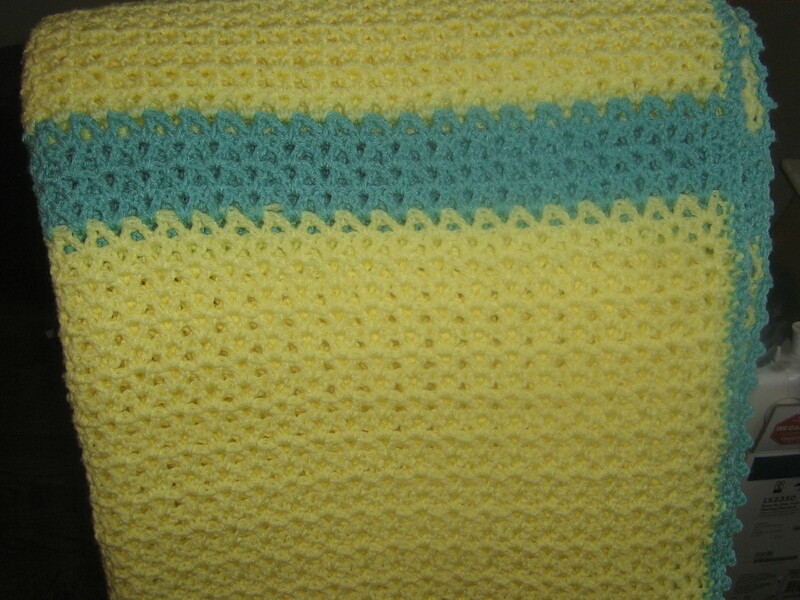 ), because I can’t believe how different the colors look in these pictures, but I think you can see that it is a very pretty blanket. Yellow is not a color I use a lot, because I can’t wear it–it makes me look very jaundiced with my warmer skin tone–but I do think it is very pretty, and I particularly like this yellow. It is pale without being washed out or too pastel, if that makes any sense. So, here is some of what I have been up to lately. I am sure I will do something creative besides crocheting blankets at some point, but these blankets sure do make me happy, :). Today’s project is still in progress, and I suspect it won’t be done until late, so I am taking some time now to reflect on how the project is going in general. I know, it’s only day 4, but what is the point of havinga blog if I can’t use it for a little navel-gazing? My biggest takeaway so far? I need to go upstairs to go to bed earlier each night. I am not saying I actually need to go to sleep earlier, although I do. I mean I need to stop thinking of going upstairs to get ready for bed as actually going to bed. I’ve been trying to write in my journal each evening, just a bit with some ideas and general thoughts, and it is hard to fit that in AND read for a bit AND brush my teeth and wash my face AND get enough sleep if I don’t head upstairs until 10:30 or 11:00 PM. That would be a fine time to go to sleep, but it is too early to start a before bed routine that takes an hour or more. Also, if I thought I was obsessed with making things before (and I totally thought that), I was underestimating how obsessed I could get. Everything I look at now, I think about what I could make with it. Every piece of art or craft I see, I wonder if I could do the same, or use the same technique. I WANT TO DO ALL THE CRAFTS! ALL THE ARTS! It’s a little crazy. I thought making something every day would calm that urge. If anything, I worried it would *limit* my making; that I would make one thing and then move on to slothdom in front of the tv. Not so. I hope I keep up this level of momentum and inspiration. Where do you get cheap art and craft supplies? I can’t share what I am working on today because it is a late Christmas present, and the recipient may be reading here. Instead, I am going to share some of the projects that I did complete. I made it early, in August, and it was so perfect for her, so much the essence of Andrea as it were, I gave it to her as soon as I finished it. After that, though, I got better about setting my projects aside to wait for the holiday. I followed this pattern, changing the colors and size to suit Dawn perfectly. She loved it! I made a few other things, too, but these are the pictures I could find fairly easily. I also have several late projects to finish still. I am feeling pretty good about my handmade Christmas presents this year, though. I did make most of the presents I gave, although I ended up buying several things as well. My goal for 2013 will be only to give things that I have made for the recipient. My brother and my dad–who got restaurant gift cards this year–will be the biggest challenge here, but if I start now, I am sure I can find something they will like. Do you make Christmas or other presents? I have a bad habit of dreaming big and not being able to actually choose a project to complete. I keep thinking there is another project out there that I would rather be doing, if only I knew about it, or remembered it. I become convinced that I have seen the most awesome project in the world recently, and I am just forgetting about it momentarily. This makes it hard to settle on a project. I know, it’s silly, but that’s the way I think. Having a virtual pin board to keep track of projects that I want to do is very helpful to me. I can look over all the projects and choose based on supplies I have available, or what I really want to do at any given time. Then, because I know I will still be able to see all the ideas when I choose my next project, I can stop thinking about them and focus on the project I have chosen. So, I made a board called Crafts I Want to Do and started pinning like crazy. Then I actually started making a few things. I made a hat, and I have since made two more, increasing my crocheting confidence. Now I am making an afghan, which I have wanted to do ever since I was a little girl watching my grandmother make beautiful afghans for everyone in the family. I am only using one color and two types of stitches, but I am still very excited about it! I have also found that I get a lot more done when I have a few quick projects to add in to the mix. It is easier to keep working at a big afghan when I take a break and make a few complete projects that take a lot less time. The past few months I have made magnets, Christmas ornaments and some cool bathroom tile coasters. Of course, I shouldn’t have left the coasters outside on a windy day to dry after putting on the sealant, but that’s ok, because they were quick. It’s a learning experience, right? Lately I have started eyeing more and more complicated projects. There are complicated afghans and pillows to make, canvases to paint, and furniture to refinish. I have actually become somewhat fixated on this last item–I want to repaint some furniture, but I am nervous. I have been thinking I should scrounge up some furniture elsewhere before I attack my own furniture. What if I mess it up? I had a thought though–I can start with the old dresser in my son’s room. My mom bought it for me at a garage sale when I was young, and it has definitely seen better days. It needs a bit of repair to make the drawers slide better, then it is ready for a makeover. My son is on board with the idea, and he even wants to help, AND has color suggestions! He thinks we should paint it orange, than then paint on “lines and dots” in red, black and blue. What a creative guy! Plus, this dresser really can’t get much worse, so it is relatively low risk. I want to do more ambitious carpentry, too. I would love to put a board and batten treatment on the bottom of the walls in my dining room, but I am nervous about installing it on the plaster walls. I would also like to do some built-in shelving and storage space in my family room to add “Office” and “Craft Room” to the official uses of the room (along with “Wii Space” and “For the Love of God, Will You Kids Please Go in the Other Room So the Grownups Can Talk Space”). These tasks are way beyond my current skill level, but it is so inspiring to see other people doing them! In the meantime, if my efforts with my son’s dresser work out, we can paint the shelving units I currently have in the family room. I got them at an estate sale, and they look outdated, but a nice paint job would do wonders. I am envisioning apple green and lavender, but I don’t know that will go well in my yellow and cranberry family room. Hmm, more painting may be in order. See what I mean about ambitious? 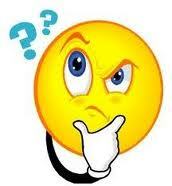 How do you settle on a project when there are so many choices demanding your attention?